Whereas wine conjures up images of refined connoisseurs debating noble rots, beer is seen as its poor country cousin, with images of beer swilling oafs coming to mind. However, beer brewing and tasting is undergoing revitalization and there is a move away from the sterile fizzy-pop mass produced beers to the more traditional, yeasty, hop laden, flavourful ales. Beer ranges in colour from pale gold, through reds, browns to darkest black – with over 100 flavours. Here in New Zealand, quite a few fine breweries have sprung up in recent years. The noteworthy ones being: Emersons, Limburg and Tuatara. So, I decided to make a chocolate stout – since 1) I like beer and 2) I like chocolate. 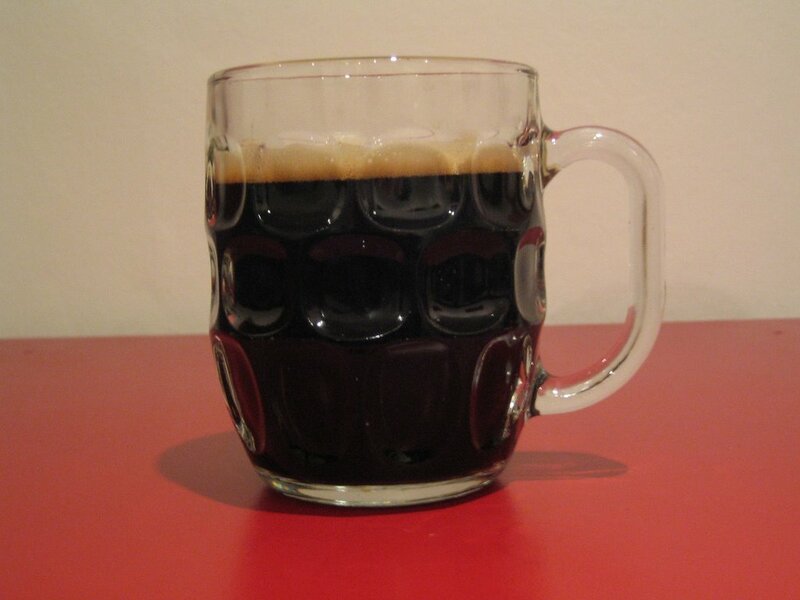 Irish stout evolved from another beer style, English porter, in the early 19th Century. It is almost black; due to brewing with malted barley that has undergone a lengthy roasting process. It also tends to have a higher alcohol level than paler beers. The chocolate grain used in the batch below does not actually have chocolate in it – although Young’s do add it to theirs – rather, a special roasting method imbibes the grain with a dark chocolate flavour. Boil the grain and the spraymalt for 15 minutes and add the hops in the last two minutes. Take it off the boil and let cool for a few minutes, then pour in the kit contents and give a good stir. Pour the whole lot into a fermentation tank, fill up to 23 litres with cold water and pitch in the yeast once the temperature is about 25 degrees centigrade. Wait , wait and wait some more…my batch took three weeks to ferment.…check the gravity and then bottle the beer adding a little sugar to each one. Then wait again…I have being trying a bottle now and again since I bottled it almost a year ago and it has much improved with age – becoming more bitter and complex, with shades of chocolate and coffee. Enjoy the beer with bars of good dark chocolate such as vintage Valrhona, Green & Black’s or Dagoba.